Want to grab job in Uttarakhand State? If yes then you have the golden opportunity for UKPSC Recruitment 2019. Uttarakhand Public Service Commission is well known as which is inviting the candidates to apply for 30 Civil Judge Vacancies. 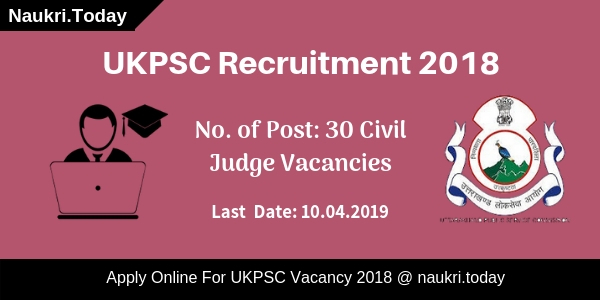 Applicants who are eligible can fill application for UKPSC Civil Judge Vacancy 2019 from here. Starting date for applying for UKPSC Jobs is 20.03.2019. The final date of submitting the complete filled application form will be 10.04.2019. Candidates can check more information about the education qualification, age limit etc from the given below article. Important Dates of UKPSC Vacancy 2018 – What is the Last Date of Apply Online for Uttarakhand PSC Recruitment? What Are the Important Dates to Remember for UKPSC Jobs 2018? Secondly, Search for UKPSC Civil Judge Jobs 2019 Notification Pdf. Click on it. Read the whole UKPSC Advertisement Link. All the terms & condition are mentioned in it. Fill up the Uttarakhand PSC Civil Judge Jobs application form with the correct details. Then go the payment window. 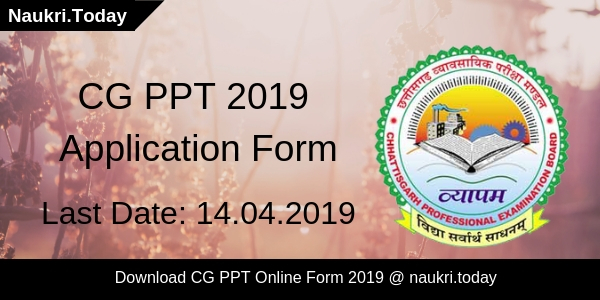 Pay the for Uttarakhand PSC Recruitment 2019 application fees. What Is The Mode to Pay Application Fees for UKPSC Vacancy 2019? Applicants can deposit the application fees through the online mode which is Debit Card, Credit Card or Net Banking. 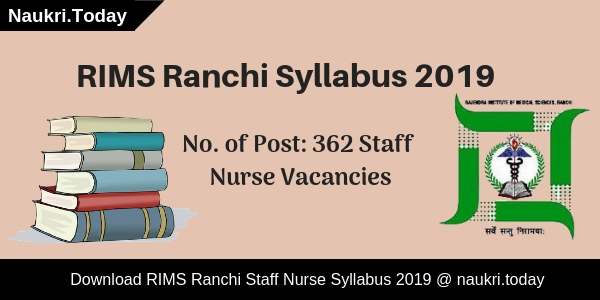 Conclusion: UKPSC Recruitment 2019 notification has been uploaded on its official website for 30 Civil Judge jobs. Applicants can apply online for UKPSC Civil Judge Jobs before the last date which is 10.04.2019. Dar applicants, if you are searching UKPSC Recruitment 2018 Notification, then you visit a right place. Uttarakhand Public Service Commission has released notification for filling up 65 Assistant Review Officer (ARO), Typist & other vacancies. Applicants those are interested and eligible for UKPSC Vacancy 2018 may apply through online mode only. The online registration form is available from 10.12.2018. However, you can submit Uttarakhand PSC Jobs 2018 online form for ARO is 31st December 2018. Moreover, details you can collect from the below paragraphs. Uttarakhand PSC is inviting online application form for 65 ARO, Typist & other vacancies. Those applicants are interested and eligible for UKPSC ARO Vacancy 2018 may apply through online mode either here or official site. Furthermore, information of UKPSC Jobs 2018 such as eligibility criteria, application fees, selection procedure and how to apply is available on the below section. Applicants must read the information and apply through the online link. Candidates who wish to apply for UKPSC Jobs 2018 must ensure that they are eligible or not forgiven vacancies. Applicants must check given below education qualification & age limit details to check their eligibility. After checks, eligibility click on the below direct link to apply for UKPSC ARO Vacancy 2018. Applicant should have a Bachelor Degree in any stream from a recognized university of India. Candidates also have 9000 key depression in English Typing. Participants have knowledge of basis computer like MS Office, Internet for UKPSC Recruitment 2018. For more details download official notification, which is mention below. Candidates those are going to apply for UKPSC Vacancy 2018 must be complete 21 years. Applicants should not be more than 42 years as on 01.07.2018. Upper age relaxation is applicable as per govt. norms. However, SC/ST category candidates get 05 years relaxation while OBC category applicants receive 03 years relaxation. Furthermore, check the official UKPSC Recruitment Notification. Applicants should pay their UKPSC Recruitment Application fees through online mode. They can use net banking/credit card/debit card options to pay the application fees. Furthermore, visit the official notification of UKPSC ARO Recruitment 2018. Participants will get select according to their performance in written examination, skill test & personal interview. For more information, you can check UKPSC Vacancy official notification. Interested candidates those are fulfilled eligibility conditions may apply through online mode for UKPSC Vacancy 2018. If you are going to fill up the online application form, you must have valid email id and mobile no. Candidates also have a scan copy of passport size photograph & signature. Now here you can follow some easy instructions to apply online for UKPSC ARO Jobs 2018. Download Uttarakhand PSC Recruitment Notification. Now go to apply for UKPSC Jobs 2018. Fill up your application form with all required information such as personal and educational. Upload signature & photograph on your UKPSC Recruitment 2018 online form. Now, recheck your application form and make changes if any. Submit your UKPSC ARO Vacancy online form. Take the print out for future uses. Conclusion: Uttarakhand Public Service Commission has recently published an advertisement of UKPSC Recruitment 2018 for 65 ARO & Other vacancies. Applicants can fill the online application form from 10.12.2018. The last date of Apply online for UKPSC ARO Jobs 2018 is 31st December 2018. Are you looking for UKPSC Recruitment 2018? If yes, Here is good news for you. Uttarakhand Public Service Commission has published notification of Direct Recruitment on Lecturer Posts. There are 917 Vacancies are available for UKPSC Lecture Jobs 2018. Candidates should heck here eligibility criteria before applying for lecturer Vacancy. Online Registration will be started from 04 September 2018. Participants must fill up their application form before last date 25 September 2018. The Department has issued notification for recruiting aspirants on Lecturer post for various subjects. For more details, candidates should read the below article carefully. Applicants should check here education qualification, age, and pay scale from given below section. Eligible Participants should fill up their application form before the last date. Aspirants can download official UKPSC Notification either from links given here or from the official website. Candidates who are going to apply for UKPSC Recruitment must have Post Graduation Degree for relevant Subject. Applicants may also have either B.Ed Degree or LT Diploma From recognized Institution of Government. For more information candidates should read official UKPSC Lecturer Notification 2018 from links given here. Participants must be 21 years old and not more than 42 years old are eligible for UKPSC Jobs 2018. Candidates who fit in this age criteria must apply from links given here. Upper Age Relaxation will be applicable according to government rule for UKPSC Lecturer Bharti 2018. Participants need to pay some amount as an application fee for UKPSC Recruitment 2018. Candidates can pay their fee through Internet Banking. An application may use their Credit Card, Debit Card for online payment of Application Fee. Here we gave you category wise application fee details through a table is given here. Selection of candidates should take place on the basis of Screening Exam and Interview. Candidates need to perform well in a screening test to get select for UKPSC Recruitment 2018. Applicants who will pass in screening Test may allow participating in Interview. Final Selection of Aspirants will be held on the basis of screening test and Interview Performance. Furthermore, information candidates should consult to official UKPSC Notification 2018. The Department will pay a good amount of salary to the selected candidates. Selected applicants will get Rs. 9,300 to 34, 800 with Grade pay of Rs. 4800. Here we gave you links to apply for UKPSC Lecturer Jobs 2018. Participants should collect here qualification, age, and selection criteria for UKPSC Recruitment 2018. Participants who found themselves eligible for UKPSC Lecturer Bharti 2018 must fill up their application form from links given here. Candidates may pay their application fee through Credit Card, Debit Card, & Internet Banking. Candidates should follow these steps to download UKPSC Jobs 2018. After that Participants should look for UKPSC Recruitment Section at Homepage. Now Applicants may check eligibility criteria, age, etc. Eligible Aspirants may apply online from links given below. After that Participants should pay an application fee. Conclusion: Uttrakhand Public Service Commission has issued notification for filling up 917 Lecturer Posts. Candidates must apply online before the last date for UKPSC Recruitment 2018. Collect Here More details regarding UKPSC Lecturer Vacancy 2018.